Make sure that you become a doctor as you always dreamt of, without the financial stress and hassles. Earn a quality endowed degree from a premier university in the Philippines and enhance your potential. It would be the best choice when considering Philippines as your destination to pursue medical education and Davao Medical School Foundation, should be the institute. 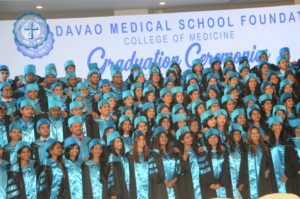 The students from Davao Medical School Foundation have good track records in the last five years and it should continue in the years to come. They contribute nearly quarter percentage of the students clearing MCI conducted in India. DMSF has more number of Indian students that makes you feel at home when you apply for the college. In all aspects, the college has the best features including a 3-D simulation lab that helps students to make their understanding of their subjects, better. Moreover there are direct flights available from India to Philippines with travel time to Manila on an average from major Indian cities is 8-10 hours. Quite a few of these medical colleges in the Philippines are regulated by the Philippines government’s Commissioner on Higher Education that follows the US education system focusing on core development of each student. The Davao Medical institution is recognised by MCI and accepts no capitation fee. With excellent hostel facilities and provision of Indian cuisine, it is a source of great attraction among the Indian students. Team Learning Centres have been opened which is a first of its kind in the country to encourage individual learning perspectives. There are more than 4000 beds in hospitals for clinical training and the spectrum of diseases is quite similar to our country, with excellent clinical training at a very reasonable cost. Limra Educational Consultants are official admission partners in India and they would take care of the aspirants right from the counselling level to get hostel accommodation at DMSF.